You have expressed frustration about the perception of GM. Does that still nag at you? MARK REUSS: Absolutely. There's no question. I honestly think about that all the time. The flip side of that is that it is changing. I got two e-mails yesterday from people who loosely I know who want to work here. People can see it turning. Whatever car we do, we need to overachieve. I always want to overachieve on this stuff anyway. But we have to do more than what everybody else is doing to change that perception. 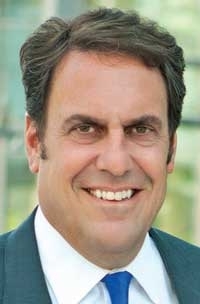 Mark Reuss, president of General Motors North America, says GM is staying vigilant on the June launch of the Chevrolet Silverado and GMC Sierra full-sized pickups, its most important rollout since the company's 2009 bankruptcy. He says GM is closely monitoring suppliers to avoid bottlenecks that could delay the launch or hurt quality. Reuss, 49, says GM will position the pickups as "highly engineered" trucks that will beat Ford's most popular model on fuel economy and appeal to buyers interested in lower operating costs. He also vows that GM will continually modify the trucks over their life cycles with design and powertrain enhancements, a departure from GM's past practice of waiting several years between significant makeovers. But, he says, don't bank on GM's trucks eventually matching Ford with a turbocharged V-6 engine. Reuss spoke May 1 with Publisher Jason Stein, News Editor James B. Treece and Staff Reporter Mike Colias. Q. What are your thoughts on sales so far this year and going forward? Any reason for caution? A. No. Right now, consumer confidence is not bad, and [strengthening truck sales] are pretty good indications that things are starting to happen. Housing starts are probably driving some of the truck stuff. Those are all pretty good underlying things, but the payroll-tax piece of it is an unknown. We're in launch right now. Launch brings a lot of challenges and also a lot of opportunities. We're pretty excited about that. Speaking of launches, some suppliers are really stretched, and that is causing parts bottlenecks. Are you feeling that? We have in the past, and so we've implemented a lot of countermeasures for these launches going into this year. We hired retirees [who are experts in certain vehicle subsystems] and put them into the suppliers to bring all the knowledge and lessons learned from their experience. Pretty much with the launches we're going into right now. We began tooling and bringing it up online here before we actually throw the switch in the assembly plant. Ford's Atlas Concept pickup signaled that Ford plans dramatic design changes. Your truck has been described as more evolutionary. Are you betting that pickup buyers aren't looking for a revolution? The base truck is very, very good. I think we'll have a really good portfolio. What we don't have, and what we don't command on the old truck, are margins up in the King Ranch, Harley-Davidson type of thing, which is where they make a ton of money there, Ford does. You'll see us go head-to-head with that with High Country [Chevy's upscale model]. And then I think you'll be pretty impressed with some of the heavy-duty stuff. We tend to really differentiate heavy duty with some of the bolder faces, which you have not seen yet. The volume truck, we're positioning this truck as a really highly engineered piece of equipment. The fuel efficiency on our V-8 is better than EcoBoost. And you don't have to pay a lot of money. The cost of operating it is lower. You have said to expect more changes throughout the life cycle on these trucks. What you'll see in the launch is the first phase of technology and powertrains in these trucks. This is a very different approach for General Motors. We blow our brains out at launch and then watch to see how much we can sell over the life cycle of it. This will be a continual cadence of technology and fuel efficiency and duty cycle throughout the life of the truck. It won't take three years to get it because it will be a cadence every year of really nice things. This is the beginning of the investment. It's a longer-term approach. You're going to have a twin turbo V-6 in the next Cadillac CTS? Yes. The XTS gets it first, very shortly. Could we see those in the trucks? Never say never. That's a really high-output engine. It is designed to beat BMW power-densitywise, and it does. If the market tells us that someone would want something like that in a truck, we'd certainly look at it. We've got three technologies in a V-8 that beat it from a fuel-efficiency standpoint at a much different price point. That's value. I wouldn't say we're never going to do that. That would be foolish. Is that something we're going to rely on as our play? No. The Buick Riviera you showed at the Shanghai auto show was pretty well received. Does Buick need a flagship for its U.S. lineup? Yeah, and obviously the Riviera is one interpretation of a flagship, but I think it needs something special. Yeah. Our flagship in the reinvention of the brand was centered around Enclave, and we followed up with LaCrosse, which is fantastic for us. But I think there's room for something there for Buick that's very special, that's not shared with anybody else and is quite unique. I think the brand is ready for that. I don't think it has been ready for that. I like the way we've grown the brand, because it has been really genuine with really good cars at the low end, the medium and the high end of crossovers. We have a few questions from dealers. A Florida Chevy dealer says: Ford grew its sales by more than 10 percent in the first quarter, and Chevy's growth was at about half that. Why is Chevrolet losing market share to Ford, and how can you reverse that trend? We do have one of the oldest portfolios in the industry in Chevrolet, and we're getting ready to turn that. But no excuses. We grew market share in GM by almost half a point in the first quarter. A lot of that was on the back of the new products we've just introduced in places like Buick and GMC. Cadillac is another great story with the ATS and the XTS, and we're going to continue pumping new product into Cadillac. Where we put new product in, we have gained share in sales. Chevrolet is next. We've got all the trucks coming, we've got the utilities, we've got a mid-sized truck, we've got the new Corvette, we've got the new Z28, we've got the Impala, which is just hitting the ground and is sorely needed. That's the plan. There's no substitute for product. A Chevy dealer in Kansas says: When the new Stingray comes out, I'm going to have to tell a customer who has bought multiple Corvettes from me that he'll have to buy it from another dealer. Why can't GM get Stingrays to dealers who have sold orders from customers in our area of responsibility? We can only make a certain amount of cars within a certain amount of time, and so the first allocations are based on where we have the biggest density of Corvettes. I don't think selling four Corvettes in a prior year is a tall order because we're going to take away customers from dealerships that have really performed in Corvette markets. That's the trade-off. We'd like to make more cars faster, earlier, but we've got to launch this with high quality, and that's our launch cadence. It's a very good one. We'll ramp up pretty quick, but I don't think that's unfair at all. Sell four Corvettes, and you're going to get a great allocation. A Chevy dealer in Nevada asks: Is GM considering changes to the way it measures customer satisfaction at its dealerships? Many dealers believe the existing CSI system isn't the best measurement. We can get into a big long debate about CSI, but it is the industry standard. We're not unique in that. However, inside of our dashboard that we look at in each dealership is the real number, which is customer sales and service retention. Our metrics and performance -- including myself, my compensation and every GM employee's compensation in North America -- has a big element of retention. So the retention on a sales and service basis is the ultimate reflection of whether you're doing everything right. The customer satisfaction piece of it is really important. If you've got a better way of doing it, I'm open to it. To supplement that to get the right behaviors from everyone -- including myself, the people who are building our cars in our plants to the people who are servicing them and selling them -- retention is the ultimate measure of whether you're doing it right.